Shannon J. Pearce is a founding member of the Arlington Financial Advisors team. She is the Senior Client Associate and is responsible for the most complex back office issues. In 2000, Shannon began her career in the financial industry at Merrill Lynch, where she learned the daily operations necessary to lead an administrative team. She works closely with clients to handle the day-to-day details of their financial lives. In addition, Shannon is a Public Notary. Shannon grew up in Santa Barbara and spent time in Hawaii and Lake Tahoe with her husband of 30 years, Gary, before setting down roots here to raise their two wonderful sons. Gary is a Physical Therapist and the Assistant Director of the Rehab Services Department at Community Memorial Hospital. Shannon’s interests include being involved in the lives of her sons and their many activities. She enjoys running, skiing, traveling, and camping with her family. 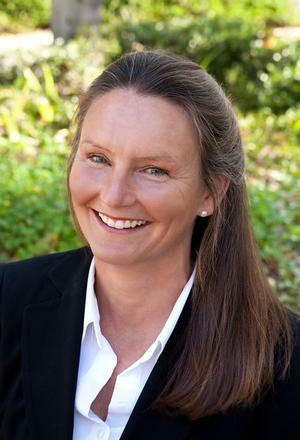 She is Co-Leader for the Rancho Goleta Disaster Preparedness Committee and is CERT certified. Since 2000, Shannon has been involved in the Avon Walk for Breast Cancer which includes working as a volunteer and walking as a breast cancer survivor.